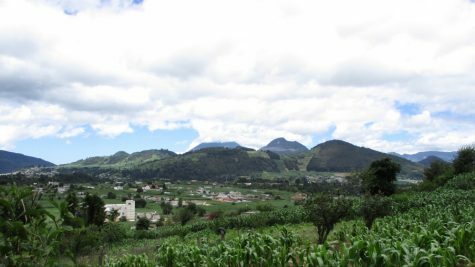 Last summer, NC senior Lindsey O’Neill embarked on an international trip to Guatemala. Pursuing her long-term passion for the Spanish language, she encountered an experience that she said changed her life for the better. “It’s an experience I would want everyone else to have,” O’Neill said. For most NC students who take Spanish as a world language, the class serves as a handy way to fulfill colleges’ language requirements and possibly a useful tool for career advancement. Quite frequently, the language becomes, to their minds, as much of a chore as any other high school class. Moreover, a fair number of high school Spanish students forget the language promptly after graduation. Senior Lindsey O’Neill, however, takes a different path. 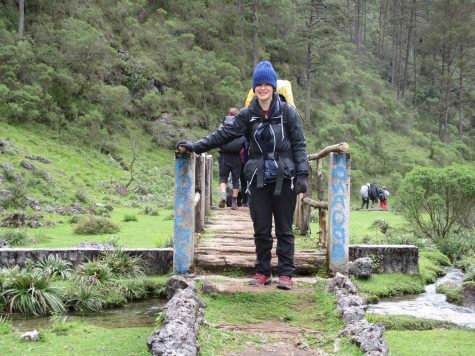 From her initial discovery of the tongue in middle school to her recent travels in Guatemala, O’Neill’s passion for Spanish gradually came to redefine her life. O’Neill first encountered the Spanish language in eighth grade, taking Spanish I early to accumulate credits for high school. Though the class initially presented some difficulty, O’Neill’s enthusiasm and determination quickly aided her in overcoming the obstacles she faced. “It didn’t come easy at first, but it’s gradually become kind of a niche for me. I was just really excited. I was always volunteering to help the teacher with worksheets, and I was really close with my Spanish teacher, so it was awesome,” O’Neill said. Family formed an essential early impetus for O’Neill’s interest in the language. “My sister really liked it too, so it was kind of neat because we both would speak in Spanish together. Over time it just became a thing that as I got better at it…I could use it with her,” O’Neill said. After developing this incipient interest, O’Neill quickly formed relationships with her Spanish teachers upon entering NC, taking multiple classes back-to-back in a year to avoid losing her newfound knowledge over the summer. Teacher Ileana Padron, in particular, served as one of her most formative influences, challenging and honing her Spanish skills, and nominating her twice for the Governor’s Honors Program (GHP) in Spanish. “Even though I applied each time and didn’t make it, for me that was a really good experience for my Spanish growth,” O’Neill said. 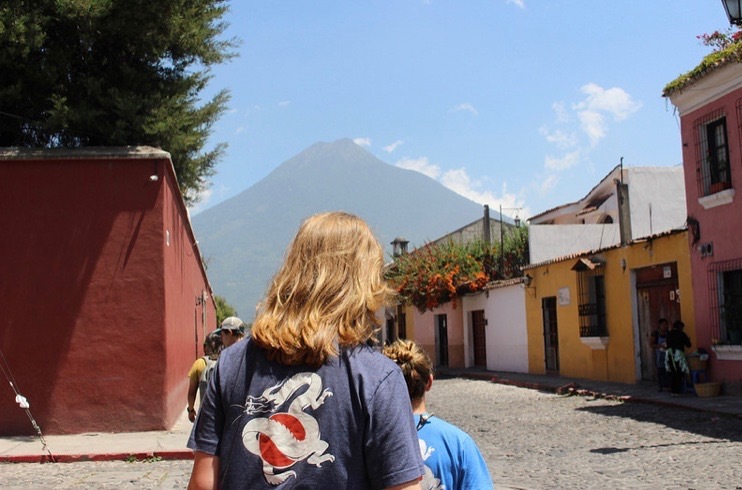 Never one to abandon all hope, though, O’Neill quickly set her sights on another Spanish-based summer event: traveling through a cultural immersion program in Guatemala with a group called Where There Be Dragons. “I traveled with a group of twelve strangers. I didn’t know them until I got to the airport, and at first everyone, you could tell, was nervous, but we were super excited because we were all obviously a certain type of individual. When we got there, we became family instantly,” O’Neill said. While there, O’Neill took in the natural beauty and splendor of the Guatemalan landscape. She also worked to preserve its beauty by volunteering with conservation projects. “It was challenging, but it was so awesome,” O’Neill said. With the aid of Spanish-speaking instructors from Guatemala and Bolivia, the students engaged with local culture, practiced their language skills, and participated in group service projects. “We had homestays, so I was able to stay with three different families throughout the month when I was there. My first homestay was in a really small town where we also had the opportunity to work with a reforestation project. It was challenging, but it was so awesome,” O’Neill said. Despite initially facing linguistic and cultural barriers, O’Neill quickly bonded with her hosts. “With our homestays, Spanish was their second language like us, so we were both not experts, but it actually really was amazing to see the way she just took us into her home, even though we couldn’t always communicate what was happening,” O’Neill said. In Guatemala, O’Neill encountered levels of deprivation unlike anything she had seen back home. “My host father did not speak Spanish very well because he couldn’t read or write, so the pronunciation wasn’t there, because he had only been hearing sounds. It was crazy to see how they lived there, because they had to go down the street to take showers at their in-laws’ [houses],” O’Neill said. Throughout the journey, O’Neill found her thoughts, her assumptions, her horizons, and her sense of adventure continually challenged and expanded. Though not always comfortable, her discoveries left her with a broadened and altered perspective on the world around her and its people. “It was crazy to see how they lived there,” O’Neill said. Nonetheless, she found that the locals’ persistence, cooperation, and gratitude served as inspiring examples. “It was crazy because they’re all united, and they’re so thankful for what they have. The way they welcomed us without judgement was really amazing to me,” O’Neill said. O’Neill now hopes to build a career out of her twin passions for language and international development. “I want to learn additional languages, like Arabic possibly. I want to be able to do global aid specifically; I want to help communities by helping build communal structures. That’s something that’s really important because of the effects of globalization,” O’Neill said. In the post-industrial West, globalization generally maintains a fairly positive reputation. Elsewhere, though, O’Neill argues, the rapid introduction of outside capital and the growth of multinational corporations can create devastating effects. “Especially in Guatemala, they’re still recovering from all the corporations that we [Americans] put there and their impacts on the indigenous communities,” O’Neill said. 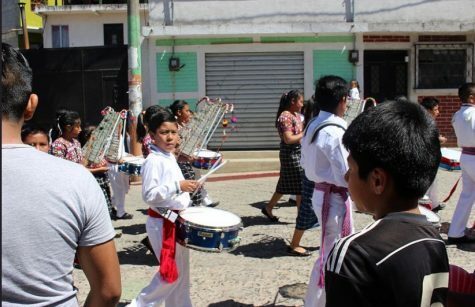 After encountering and engaging with indigenous Guatemalan culture, O’Neill hopes to someday put her talents to the service of similar groups worldwide. “If you look at indigenous communities, they’ve been wiped out in so many areas that you don’t even know about them, so studying that and helping the revival and continuation of those cultures is something I would really love to be able to work with,” O’Neill said. O’Neill’s travels immersed her in the diversity and complexity of Guatemalan culture, particularly that of local indigenous groups. The experience helped her to explore and to appreciate the wide range of human existence. “Helping the revival and continuation of those cultures is something I would really love to be able to work with,” O’Neill said. O’Neill strongly recommends that other young people look for international experiences such as hers. “It’s an experience I would want everyone else to have. Seeing a life beyond my own is something that brings me a lot of fulfillment and makes me have meaning, and I think it’s hard to have that without going out and getting out of your comfort zone,” O’Neill said.